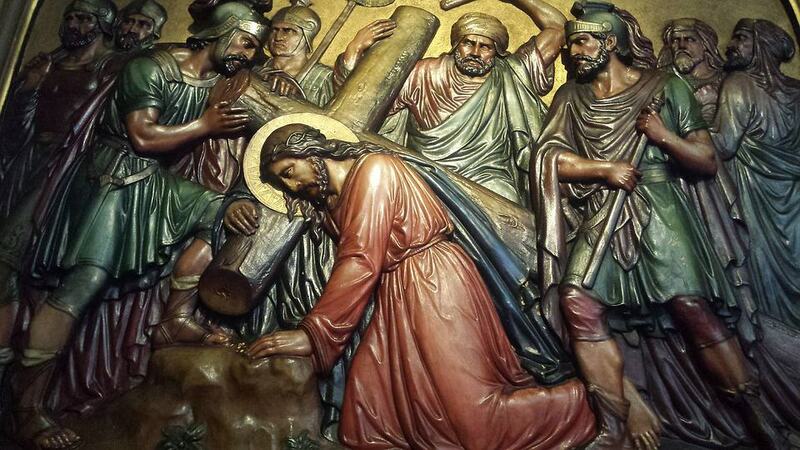 The final presentation of the Stations of the Cross will be held this Friday evening at 7:00pm. Liturgical ministers, especially altar servers are needed for Palm Sunday, Holy Week and Easter Sunday Masses. Please sign up at the table in the vestibule after Mass today. For the complete schedule for Holy Week and Easter Masses please refer to this weekend’s bulletin. The Knights of Columbus are hosting a Soup & Bread Lenten Dinner in St. Francis Hall this Friday afternoon. Also, the Knights’ monthly Pancake Breakfast will be held this morning, immediately following the 7:30 and 9:00 Masses. The Blood Pressure Clinic will take place at the same time. And, this is the final call for applications for the Knights’ High School Senior College Scholarship. The deadline to get the online application submitted is Sunday, April 14th.